It seems like no time at all since Authors For The Philippines raised funds in their charity auction to help the hurricane-stricken nation. This past week, author Julia Williams, supported by many other generous people from the world of books, put together a new one, called Authors For Nepal. Authors For Nepal is being run through eBay, and there are still plenty of bookish lots to bid on and get that total higher. Today’s goodies include signed books by Y A author, Eve Ainsworth, and writers’ critiques from Tamsyn Murray and kids’ fantasy author, Stephanie Burgis. Thursday’s lots include a signed book by sci-fi author, Matt Hughes. There are also signed books from the “Frog” series, a limited edition t-shirt and a school visit from “Frog” author, Joffre White. 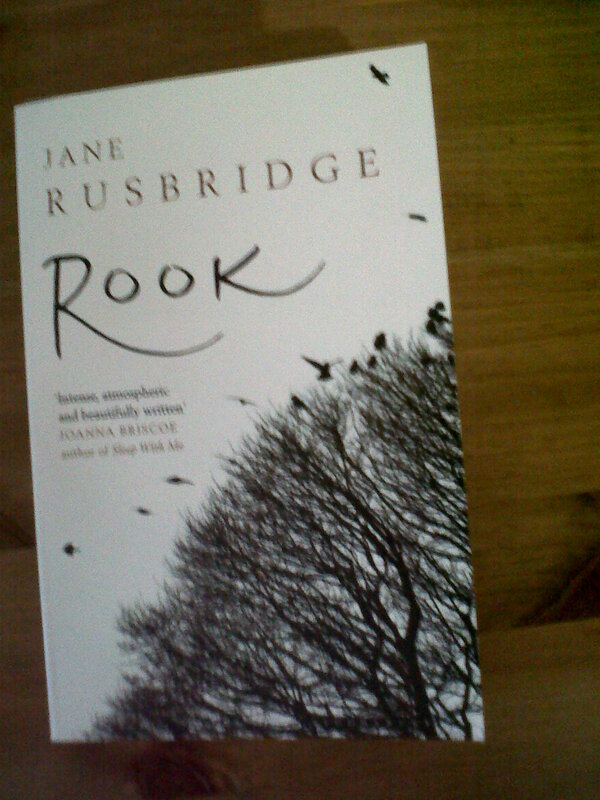 Friday’s offers include two signed books by Jane Rusbridge – “Rook” (pictured), and “The Devil’s Music. She is also offering a writing critique. Also on Friday there are signed copies of Jenny Harper’s “Face the Wind and Fly” and “Maximum Exposure”, both set in Scotland. And, for those Mills & Boon fans out there, they’ve got a goody bag including ten brand new books. On Saturday you could bid for an original illustration by Ella Okstad, signed books by Dorothy Koomson, or you could get your hands on twenty modern adult sci-fi books from Angry Robot publishers! On Sunday, best-selling authors, Julie Cohen and Rowan Coleman are both offering two lots – a signed book each, and a critique of a chapter, synopsis and covering letter, which would be fabulous for any new writer about to start submitting to agents. Monday is the final day of the auction, and your last chance to bid on a bookish treat whilst helping this very worthy cause.